EMHR board president Sandy Wilmot (left) and executive director Annette Schultz toured the Troy Sale Barn recently after a meeting held in the main hall. EMHR has tentatively approved an $8,000 grant to aid in the rehabilitation of the structure for use as a community center and agricultural and historic site. The building in Troy borough will also serve as the venue for two Taste of the Endless Mountains events this year. 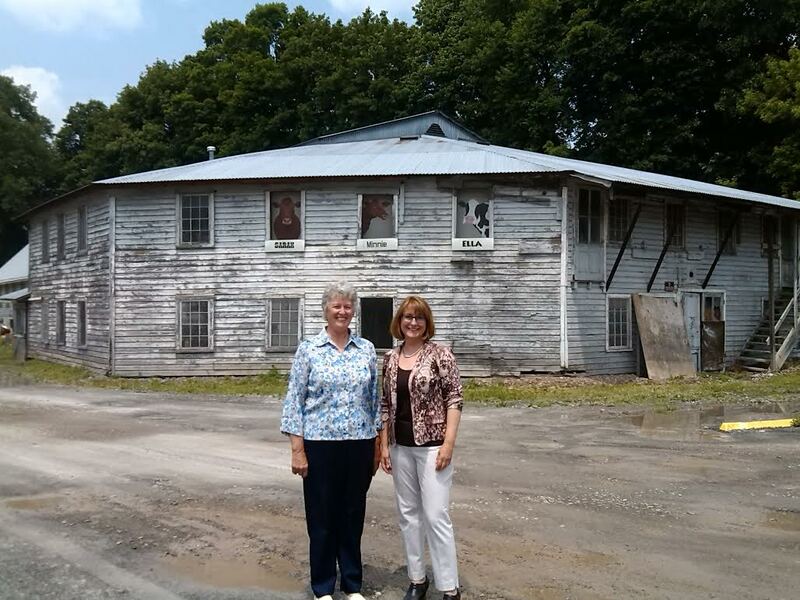 Board members of the Endless Mountains Heritage Region (EMHR) gathered at the Troy Sale Barn on June 10 for their first meeting with new executive director Annette Schultz. After a lengthy session termed by members as “invigorating” and “inspiring,” board president Sandy Wilmot and others toured the facility and received an update on the progress of its renovation from project coordinator Bill Brasington. Agenda items included discussion of Round 20 grant recipients and their projects, payment for the renovation of the foundation of EMHR headquarters in Towanda, the need for the bylaws committee to convene, a planned website makeover, and the importance of board member input in the reworking of the Management Action Plan to meet criteria requested by DCNR. EMHR project manager Hillary Robinson was cited for extensive work this spring on the Buy Fresh Buy Local (BFBL) program, which EMHR took under its wing last year. She displayed a preliminary copy of the 2015 Farmers Market Guide, noting that it is focused solely on the Pennsylvania counties that represent the Northern Tier BFBL chapter. BFBL members are very enthusiastic, Robinson noted, and the growing partnership demonstrates EMHR’s commitment to supporting local agriculture, a key part of the organization’s heritage mission. 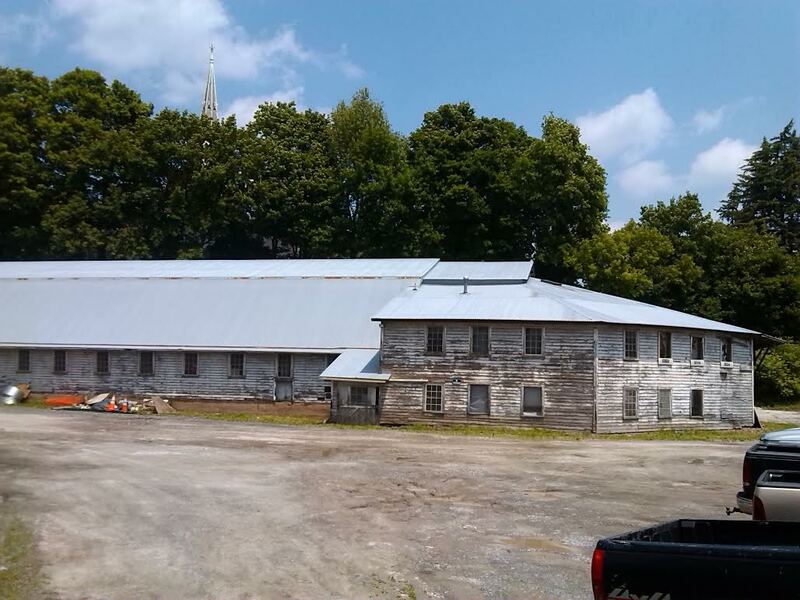 Two Taste of the Endless Mountains events that feature locally-sourced food and crafts have been planned at the Troy Sale Barn this year, and Robinson hopes to announce dates soon for Taste events in the other three counties. Wilmot noted that a survey of the board indicated a preference to meet at project sites, such as the Troy Sale Barn, and potential project sites to be better acquainted with the initiatives that the agency supports. The board agreed to meet in a more central location, such as Wyalusing, during the December and February meetings to cut down on drive time. Schultz presented her first report to the board and shared some ideas of the message and image she would like to convey to both the public and elected officials as to what EMHR already does for the four-county region. She also noted the potential to further engage partner agencies and the tangible economic impact of heritage-based initiatives. For example, a 2012 study contracted by the Pennsylvania Legislative Budget and Finance Committee conclude that the Susquehanna Water Trail, which is managed by EMHR, and three additional water trails included in the study, translated into a $731,000 economic impact over a six-week period. “It’s not only about preserving the past but helping to shape the future of the Heritage Region,” Schultz remarked. Bringing the somewhat clouded image of the agency into focus and demonstrating the relevance of EMHR’s work should help to garner more support among officials in all four counties, she suggested. Key to her goals as director is to tap into additional funding sources to assist with worthy projects that can supplement and leverage DCNR funds. Board members were also asked to review two banners brought to the meeting that represented maps and interpretive panels that will be erected in Towanda and Tunkhannock. The panels were designed by Diane Terrell of DDH Design with input from various EMHR personnel and board members. Schultz invited board members to participate in a retreat slated for Friday, July 17 at Camp Lackawanna in Wyoming County to work on a revision of the Management Action Plan. The next regular meeting of the EMHR board will include a potluck picnic and be held at Worlds End State Park in Sullivan County on Wednesday, Aug. 12. Sullivan County Commissioner Wiley Norton will arrange for a tour of one or more project sites nearby. After the meeting, Brasington proudly showed board members what has been done to secure the structural integrity of the Troy Sale Barn building and a theater under construction that will be available for local productions. He said that the community’s interest in the project grows every day, and he feels blessed by the outpouring of support that has included donations of valuable historic artifacts. As a partner agency, EMHR is a particularly good fit for the Troy Sale Barn endeavor, Wilmot added, because it is being pursued in measured steps. EMHR grants have typically been in the $10,000 range and earmarked for a specific facet of an overall project.